Zombie apocalypses are never easy, but sometimes having a massive AC-130 gunship and army base definitely take the edge off. 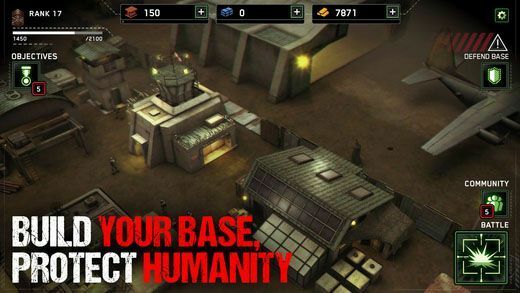 Thanks to Zombie Gunship Survival (sequel to Zombie Gunship), a free zombie-killing action strategy by Flare Games for iOS and Android, that’s what I’ll be looking for when the end is nigh. Despite having a badass gunship, is this game worth your time? That’s what I’m here to tell you... if I can. Most importantly, you can’t play this game offline. That means that if you mainly tend to play mobile games while commuting, as I do, you’ll only be able to play Zombie Gunship Survival if you’re connected to WiFi or part with precious, precious data. For me, this is a problem. Not only did it mean that it took me a lot longer to actually play a good portion of the game – since I wasn’t able to use my focused commute time to play – but it’s also something that would normally have me deleting a game almost immediately. So, that felt like a pretty bad place to start with a game I wanted to review. Nevertheless, I persevered, and found something worth playing at home. The main concept of Zombie Gunship Survival is that you’re flying above your team of soldiers in a gunship. While they search below, shown as specks of heat-vision white against an apocalyptic black, you watch over them. They explore buildings for resources. You keep them safe from the undead with various weapons. It starts off easily with one team member and a handful of zombies, and gradually grows harder as the number of corpses and obstacles increase. Your team and weapons improve, too. 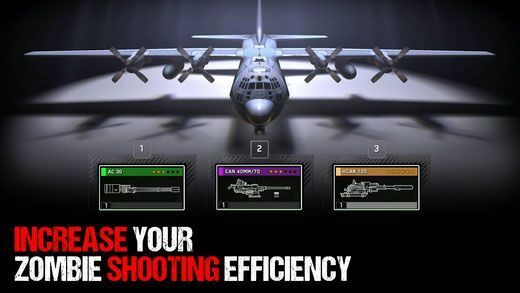 Starting with the team, you can increase the number of soldiers on the ground and also give them new weapons, such as MP5 submachineguns and shotguns. Once they’re kitted up, you’ll want to make sure your own gear is up to scratch. The gunship first lifts off with an MG5.56, a mini-gun capable of mowing down hordes of the undead in just a few seconds. Well, at first. 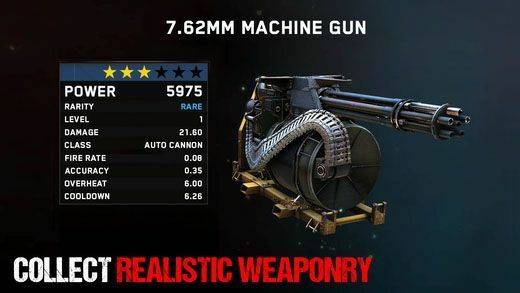 It’s also possible to overheat this weapon quite easily, so it pays to only rain short, controlled bursts of lead down on the enemy. Before long, the soldier on the ground is also facing obstacles like walls and buildings which slow his progress while the zombies shamble closer. This might be a problem, if there weren’t a massive gunship circling above him. For these scenarios, I unlocked a single-shot CAN30, with added damage for taking out buildings. This also came in handy for hostile turret towers that seemed to fire at my soldier. I never did find out who was manning these guns, though... The game carried on in the way as mobile games often do, fun by repetition, slowly getting harder until I realised that my soldier was being eaten alive. He wasn’t going back to base this time. 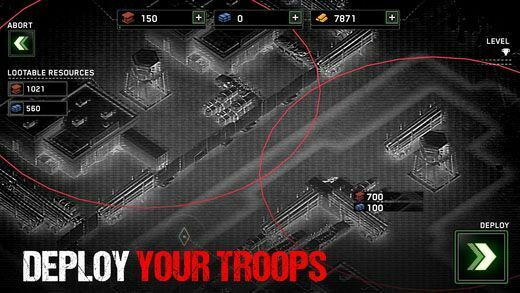 Back at the army base is another element of the gameplay; strategy. Using the resources collected from each mission – which seems to be the driving force behind these missions as I didn’t find any survivors or additional narrative – I was able to build, upgrade, and repair the base. With a combination of creating new buildings and upgrading existing ones, I was able to purchase and upgrade new weapons, buildings, and defences. The latter didn’t seem all that important at first, since the zombie defense moments are optional, but after seeing the swarms that come a-knocking when I decided to collect the optional rewards of doing so, I invested further in these and built stronger walls and guard towers. Seriously... So. Many. Zombies. 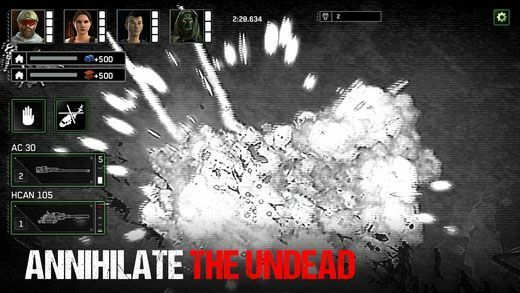 And, in a nutshell, that pretty much sums up the gameplay of Zombie Gunship Survival. It’s a fun, solid concept for a game, and I’ve definitely enjoyed the top-down zombie-killing action, though I can’t help wishing that there was a little more flesh on the bone – pun very much intended. While the action gameplay is enjoyable and occasionally tense, I didn’t really care what happened to the soldiers or the base. I hadn’t been hooked into their story for survival in any way, and they were never going to be elevated from the little white specks of heat I watched on the ground below. Nothing more than MPS-toting ants. I love a good narrative, and Zombie Gunship Survival even hints at something interesting in its opening scenes of the outbreak. Soldiers explore a silent ship, reminiscent of the Queen Zenobia from Resident Evil: Revelation, and I couldn’t help but be drawn into the mystery and dialogue, but this is soon eaten away by the endless plod through mission after mission of collecting resources and killing zombies. And did I mention that you can’t play without being online. I’m still not quite over it. Zombie Gunship Survival is a fun game, there’s no doubt about it. It takes two separate types of gaming, action and base-building, and combines them together to create something that is solid and enjoyable. Where it falls down for me is a lack of driving narrative behind the missions and actions being taken, leaving me feeling like I was going through the motions rather than fighting for survival. If you’re looking for something to literally kill some time, blow off steam, and don’t mind using your data on the move, Zombie Gunship Survival is certainly a game that I’d recommend. However, if you’re looking for something that looks into the struggling narratives of a zombie apocalypse, you might want to find a different place to land.